The imminent release of popular journalist David Tam Bayoh from prison, has been engineered by a Committee set up to secure his release. The committee, who met Tam Baryoh in prison and also spoke with president Koroma at State House, is made up of his lawyers Melron Nicol, journalists – Phillip Neville and Christo Johnson, and Memunatu Pratt – a peace studies lecturer at the University of Sierra Leone. But there are serious concerns this morning that, the committee may have succeeded in getting Tam Baryoh to sign a confession that will now guarantee his pardon by the president. An independent human rights group – Rightsway International, has strongly condemned President Koroma for allegedly dictating to the Committee to obtain a signed confession from the journalist. 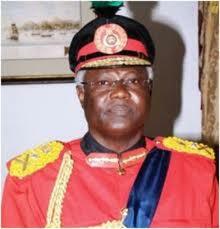 “It should be noted that President Ernest Koroma was wrong to order the alleged unlawful detention of Tam-Baryoh. The President has flouted the country’s justice system by allegedly forcing the journalist into making false ‘confession’ publicly. “The sole aim of this forced confession is to destroy the credibility of the journalist. This is a violation of the journalist’s human rights in order to canvass public opinion for political gains. 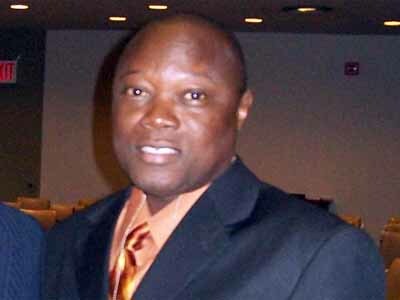 “The unethical act of publishing Tam-Baryoh’s forced confession can only be seen as an attempt by the authorities in Sierra Leone to incriminate the journalist, and negate international media reports and the widely held strong public opinion that Tam Baryoh is being unlawfully detained over criticisms of government handling of Ebola crisis,” says Elvis Kamara. RightsWay notes that David Tam Baryoh, a high-profile radio journalist whose reports have often exposed alleged corrupt government officials, was arrested on November 3, 2014, and still being detained at the maximum-security Pademba Road prison in the capital Freetown. His popular weekly programme, Monologue, was taken off air mid-show as he interviewed an opposition party spokesman who criticised the president’s alleged intentions to run for a third term. Since his arrest, Tam-Bayoh has been denied access to his wife and family, his lawyers were allegedly constrained to see him. His health is deteriorating, as a result of government’s alleged delay in allowing access by his doctor for a medical examination. 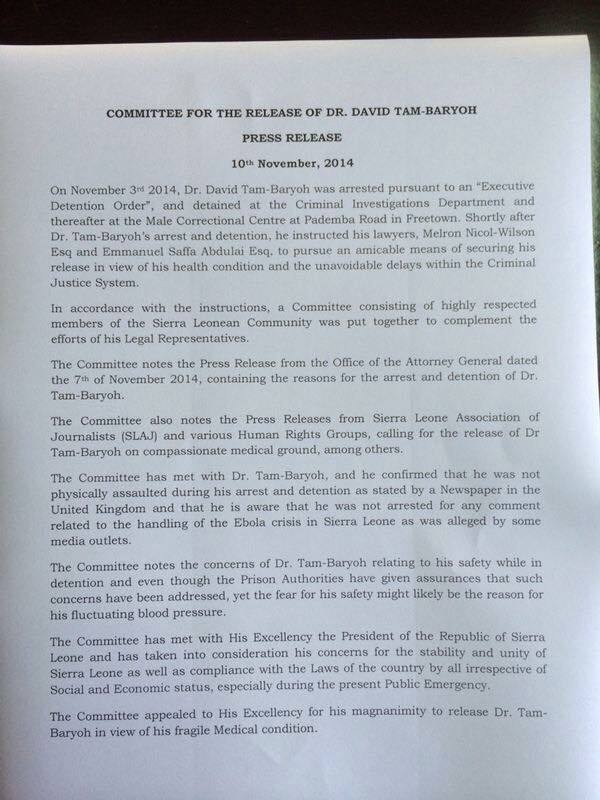 The doctor later confirmed David Tam Baryoh was in a state of ‘hypertensive emergency’. Rightsway is disappointed that Tam Baryoh’s forced confession has been published widely by pro-government media outlets and social networks. The publication of forced confessions is often used to discredit dissident news and information providers. This is a media propaganda tool used by dictatorial regimes, to avoid being exposed, investigated and punished for the grave violations of human rights. The way that the forced confession was published was similar to the journalists Jonathan Leigh and Bai Bai Sesay’s case, as always exploited by government to shift the blame to the victim. This is a disingenuous political trick, seeking to save the shattered image of the government for human rights violations, and distracts efforts to investigate allegations of the unlawful detention and torture of David Tam-Baryoh for questioning government Ebola response. Rightsway reiterates its disappointment in the poorly written Government’s press release issued on November 7, 2014, regarding the arrest and detention of Tam Baryoh, stating that: ‘’ the Government takes exception to any one preaching tribalism, hatred and promoting divisions in the Nation’’. Rightsway strongly dismisses the government’s press release as absolutely unfounded, unfortunate, mischievous, totally false, and falls short of inferring, if any, the specific elements of the crime or offences as stipulated under statute or emergency regulations/measures for the arrest and detention. RightsWay maintains that there were no accessible emergency media regulations, otherwise rules preventing journalists from questioning government Ebola response or making political statements, to warrant such an arrest. There can be no reasoning – no justification – for the use of emergency powers to undermine press freedom. RightsWay did not receive any information to suggest that the public was incited by the contents of the Tam Baryoh’s radio broadcast. There was no evidence to suggest that Tam Baryoh was inciting tribal hatred or promoting divisions during his radio program. The journalist was merely doing his job. Rightsway reiterates its appeal to the international community – including the United Nations, Africa Union, ECOWAS, Commonwealth, European Union and other human rights organisations to investigate allegations of unlawful detention and torture of David Tam-Baryoh. The arrest and detention is a serious distraction and diversion from efforts to eradicate Ebola. RightsWay maintains that it is essential for groups to vigorously condemn attacks against journalists and to act with due diligence and swiftness to establish an effective regulatory framework on media law and ethics, ensuring that the rights of others are not violated. RightsWay calls on the responsible media and people of Sierra Leone NOT to publish the statement issued by the Committee, incriminating Tam-Baryoh for his forced confession. The Committee had violated Tam Baryoh’s right to justice and fundamental human rights as stipulated by international law through the use of forced confessions under duress as a way for securing his release. RightsWay continues to urge the government to allow journalists, activists and artists to pursue their work and speak up without fear for their safety. Meanwhile, the people of Sierra Leone desperately need international support, as we continue working to tackle the ever-increasing challenge to eradicate Ebola. I am totally disappointed at Kumba Amadu’s comment. Unfortunately there is no comment facility in the Awareness Times. People should stop insulting Konos by planting other tribes in Kono, simply because they were living there or they once went to school there. We the konos are very proud and very proud of our land. We do not go claiming places belonging to other tribes. So stop planting these people on us. They are not KONOS AND THEY WILL NEVER BE ACCEPTED as they are not part of us. They have their own tribes, so they should be proud of who they are and associate themselves with their own region. We do not need or want them on our land. KONOS do not settle in other districts, yet it is always other tribes that come, and claiming to be kono. You people don’t know anything about us. So the people that are claiming to be konos, should take a hard look at themselves to see if they have a place in kono, because I don’t think so. So tell them if they don’t have an identity, they should ask their fore fathers. I do know that everybody in Sierra Leone knows where they came from, unless they are ashamed of their identity.